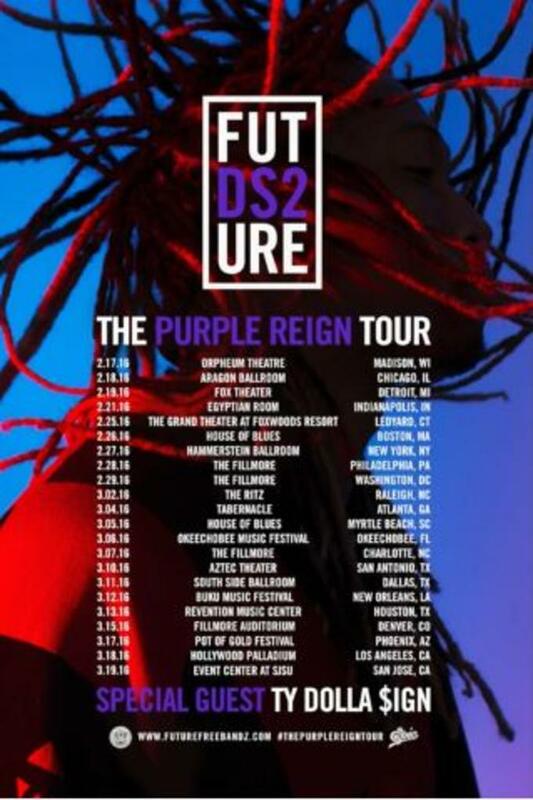 Future is finally hitting the road, as he just announced a DS2 tour called "Purple Reign" with special guest Ty Dolla $ign. The announcement comes as a sigh of relief for fans, as Future really didn&apos;t go a full-blown tour in 2015, despite all of his success. That is set to change in February though, as Future and the Freebandz crew will make stops in Chicago, New York City, Atlanta, Dallas, Houston, Los Angeles, and more. Pre-sale tickets for the tour will go on sale tomorrow, while the full list of dates can be found below.